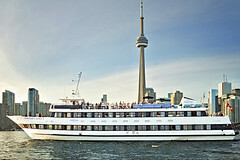 The Northern Spirit, one of the two largest passenger vessels in Toronto, is now better than ever. 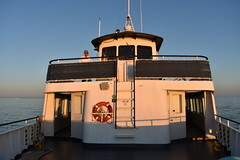 Already bright and spacious with an abundance of natural light, the Northern Spirit’s enviable dining capacity, and comfortable flow are now enhanced by the significant investment in our interior deck amenities and furnishings, following an extensive transformation in 2018. Celebrating the Spirit’s contemporary design, a tasteful modern palette of midnight blues and shades of gray will be offset with crisp charcoal and burgundy accents. The new dining tables, with classic black Chiavari chairs will be featured on a new floor plan layout that includes additional window seating and more efficient service space. A plush high quality wool carpet will be framed with tiled walkways and dance floors. Over one hundred custom made windows with heat resistant glass have been installed on both interior decks. A new state-of-the-art audio system is installed, using the best technology available to provide clean, even sound with the distribution of over 80 speakers throughout the Northern Spirit’s deck spaces. New LED lighting has been selected, not only for its energy saving virtues, but also for its capability to provide atmospheric lighting to suit the occasion. A newly constructed high quality ceiling finish will not only improve aesthetics, but also support improved sound absorption. All four restrooms have undergone renovations, including new floor tiling, low flush toilets, custom designed, sleek stainless steel sinks and counters and wall coverings. Our newly constructed service areas, including beverage centers and DJ booths feature high quality finishings, with custom made stainless steel counter tops and accent lighting. Sleek, modern, tasteful- all 140 feet of her. This is the newly renovated Northern Spirit awaiting you in 2018! A Mariposa strength is our superior food service. 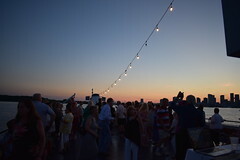 On the Northern Spirit, our Chef and full service kitchen is on board providing fresh, quality food offerings from buffet style to reception style food stations. The Northern Spirit offers versatile event space with plenty of windows to allow the fresh air breeze in. 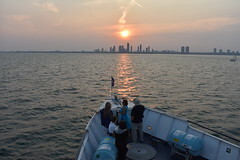 Experiencing fresh air, great views of Toronto’s iconic skyline with wonderful hospitality and service are the reasons people choose to cruise on The Northern Spirit. 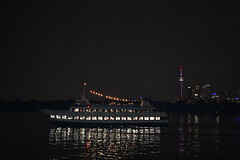 The Northern Spirit is heated and cruises until New Year’s Eve and is perfect for Holiday Events. The Captain and crew look forward to welcoming you aboard to our exciting newly renovated Northern Spirit! Menus start at $26.90 per guest. Fully stocked Bar, with prepaid beverage options available. 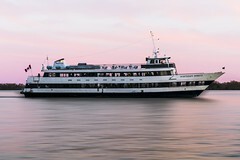 *All interior and uncovered areas of our ship are non-smoking areas. 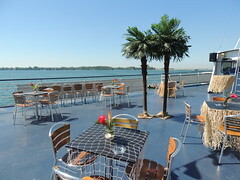 In compliance with Smoke Free Ontario, guests who smoke may only do so in the designated smoking section on the stern deck of the Northern Spirit where food and beverage cannot be consumed. It was an amazing night of food, dancing and great ambiance. The service was great and friendly and I cannot wait to do it again. An overall perfect night! – Avryl Haley, Northern Spirit.